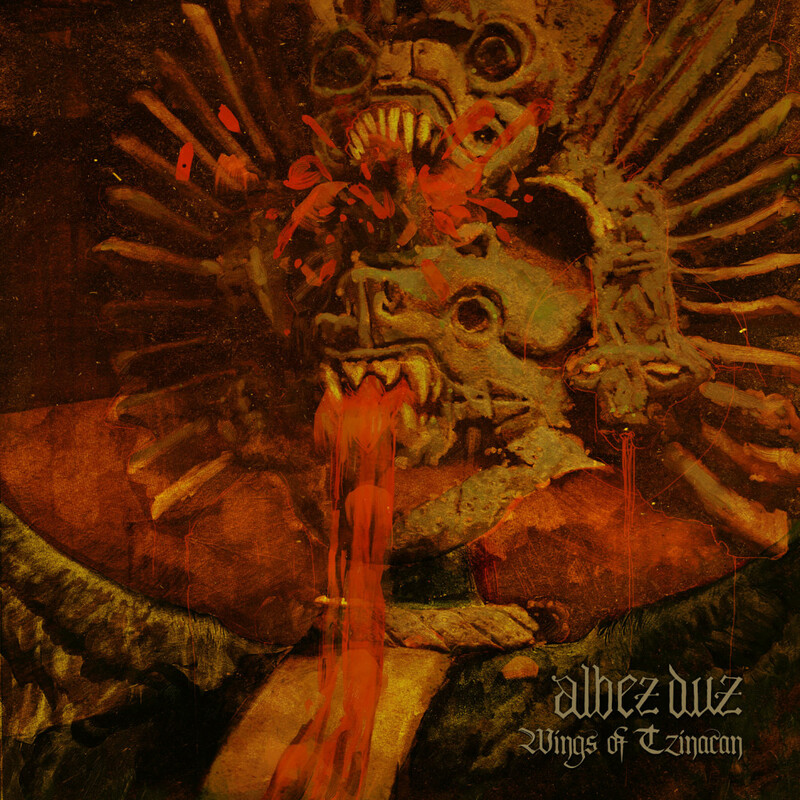 Wings Of Tzinacan is the impending new full-length from German, occult doom rock rock collective ALBEZ DUZ. Emerging from the dark corners of Berlin in 2006, ALBEZ DUZ — old High German for “swan” (Albex) and “noisiness” or “rush” “Duz” – was forged by Eugen “Impurus” Herbst initially as a one-man side project. The band’s ominous debut was recorded in 2009 with singer Lars Kaeding. Following Kaeding’s death however, the band stepped into the shadows for the next three years. With a lingering fire and purpose, Herbst continued to write for ALBEZ DUZ and, after an exhaustive search, crossed paths with Alfonso Brito whose voice seemed destined for the project. In September 2014, the duo brought the band’s second album The Coming Of Mictlan to life via Iron Bonehead Records and Archaic Sound. They began performing live shortly after. 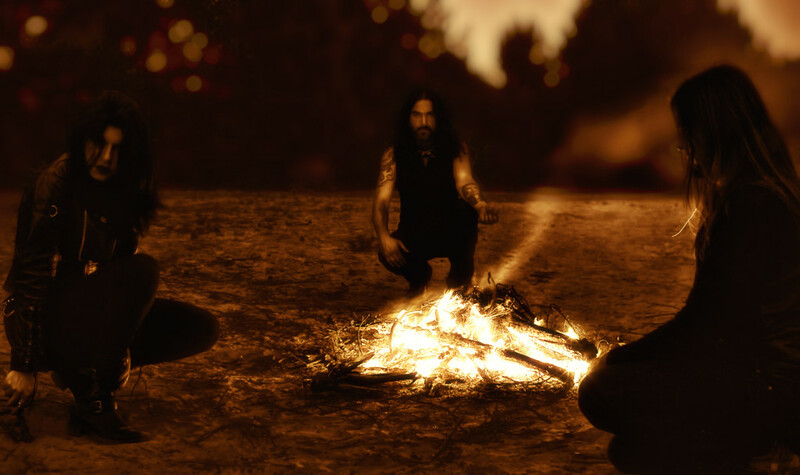 ALBEZ DUZ has since shared the stage with iconic acts such as Primordial and Swans as well as other rising talent including Bölzer, Ascension, and Hexvessel. In a short time, the Berliners established themselves as a force in the European underground and elicited high praise from both critics and audiences alike. ALBEZ DUZ recently completed its third full-length album, the thundering Wings Of Tzinacan, at The Source Studios Munich with producer and audio engineer Michael Zech (Secrets Of The Moon, Triptykon, Ascension etc.) at the helm. Guitarist Julia Neuman has joined their ranks, solidifying the band as an unstoppable power trio. Lose yourself in the crushing sounds of ALBEZ DUZ’s “Sacred Flame” at THIS LOCATION. Wings Of Tzinacan will see release via Listenable Records in Europe on October 21st, 2016 followed by a North American release of October 28th, 2016. Preorder bundles are currently available at THIS LOCATION. With a twilight performance at the prestigious Speckjaga Funkenflug Festival already checked off the band’s list in 2016, and other appearances scheduled, ALBEZ DUZ is burning its flame higher and brighter, ready to cast a spell on the globe and initiate a new chapter in doom. The gates are open! Fans of Saint Vitus, Count Raven, Tiamat, Hawkwind, Jex Thoth, Pentagram, and the like have been warned.